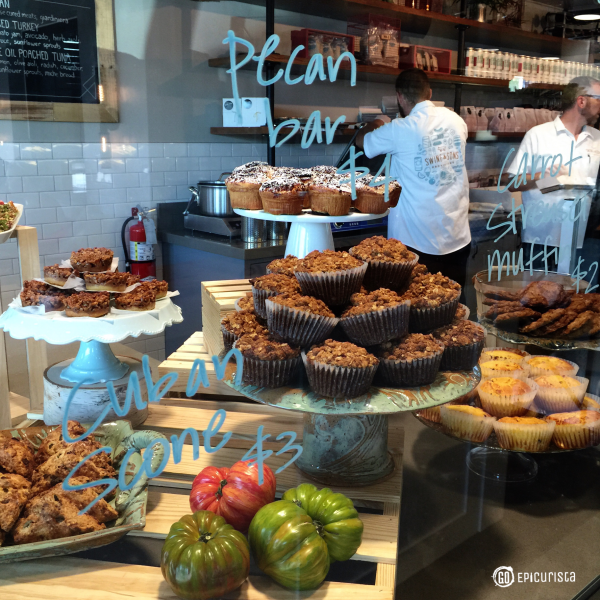 Looking for great take-out in Orlando that tastes homemade and gourmet all in one bite? 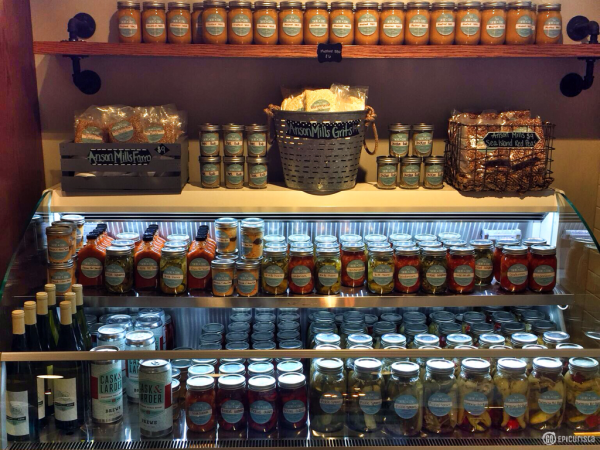 Check out Swine and Sons Provisions, the latest creation of husband and wife team, James and Julie Petrakis. If the Orlando Culinary Scene was a high school, James and Julie Petrakis would be Prom King and Queen. 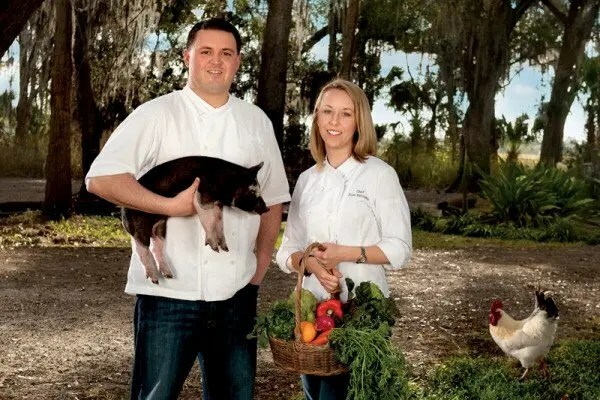 This culinary power couple has built a food-lover’s empire as chef-owners of not one, not two but three popular eateries in the Winter Park area of Orlando. Nominated multiple times for James Beard Awards and winners of numerous “Best Of” awards – from Best Restaurant to Best Happy Hour to a feature in Saveur Magazine’s Top 100 issue – you may think they would just rest in their laurels on the success of their first venture, The Ravenous Pig, an Orlando gastropub on everyone’s Must Eat List since 2007. No, I don’t think there is any rest on their tight ambitious schedules. They followed the “RavPig” success just down the street on Fairbanks Avenue with Cask & Larder, a Southern-inspired brewpub making its own craft beers and cocktails and serving them alongside amazing comfort food bites like a CBLT slider and crab hushpuppies. If that was not enough, this April, they combined the flavors everyone loves about the restaurants and opened Swine and Sons Provisions, a take-out shop specializing in artisanal charcuterie, made-to-order butcher sandwiches, fresh salads, pastries, seasonal ice cream and desserts as well as sauces, spices and rubs all made in-house. You can even pick up 32oz crowlers of Cask & Larder’s craft brews for the complete Swine Family experience at home. 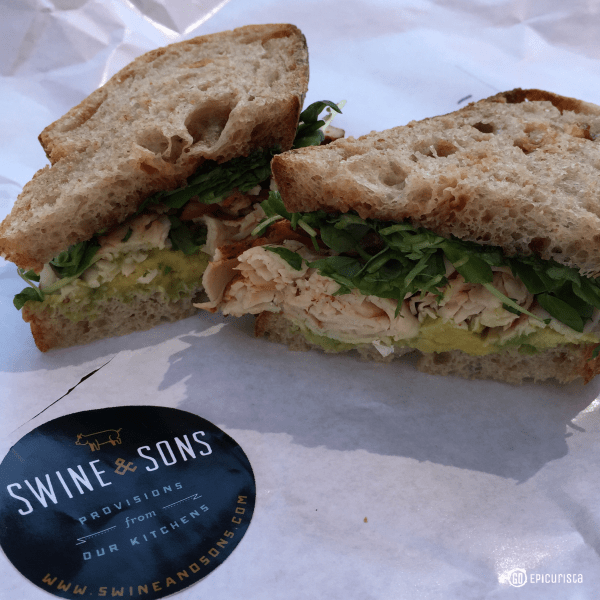 Swine and Sons is a great addition for area locals short on time to pick up delicious food to go, but certainly a great stop for visitors as well. During my last visit, I stopped in for a snack, then headed next door to Cask & Larder for their fantastic happy hour (on my Top 9 List! ), and capped off the night picking up my Blue Pig Special to go before heading home. Next time, my goal is to hit all three of the Swine Family eateries in one night. Ambitious but doable! 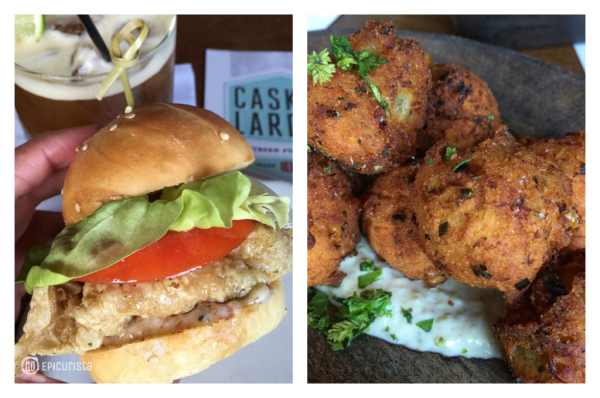 Cask & Larder Happy Hour bites! 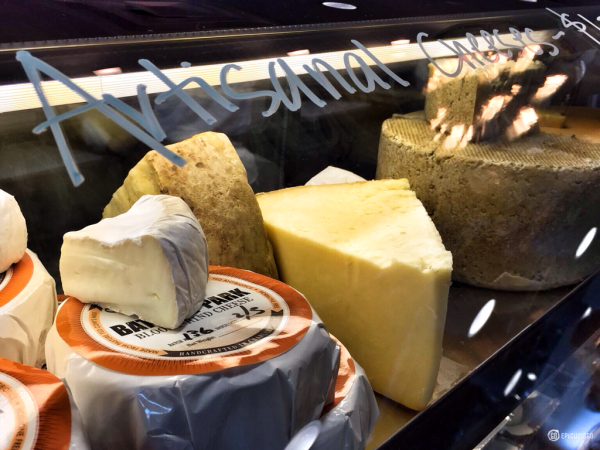 From the artisanal cheeses, to the fresh charcuterie, to the sauces, the ice cream case and all the fresh-baked goodies, you may end up eating with your eyes and ordering too much. The good thing is that you can take it home and enjoy it for days later. 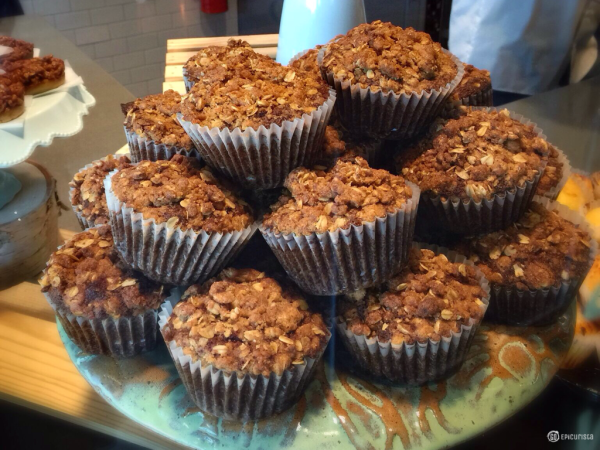 The Baked Treats will cause serious eating with your eyes! 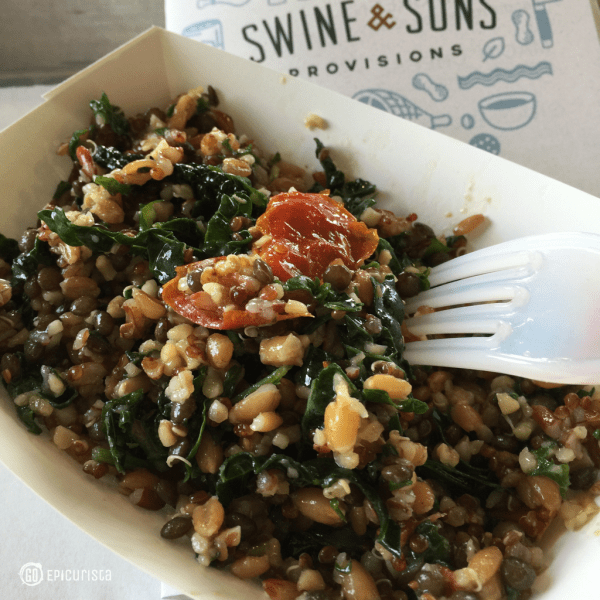 Here’s an overview of the menu at Swine & Sons. Everything I’ve sampled has been fresh, flavorful and enjoyable. The menu changes frequently which keeps us coming back for more. 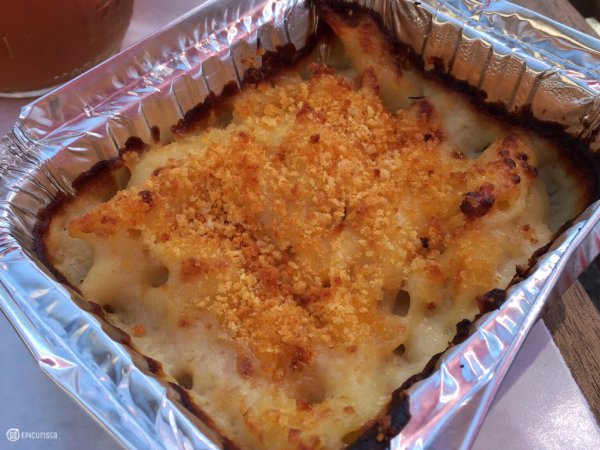 ^ Mac N’ Cheese with Fresno hot sauce bread crumbs which added a lovely touch of heat to a creamy and comfort-food worthy dish. ^ Grain Salad with quinoa, spelt, bulgur, red rice, baby kale, and marinated tomato. It had a beautiful crunch from the grains and freshness. 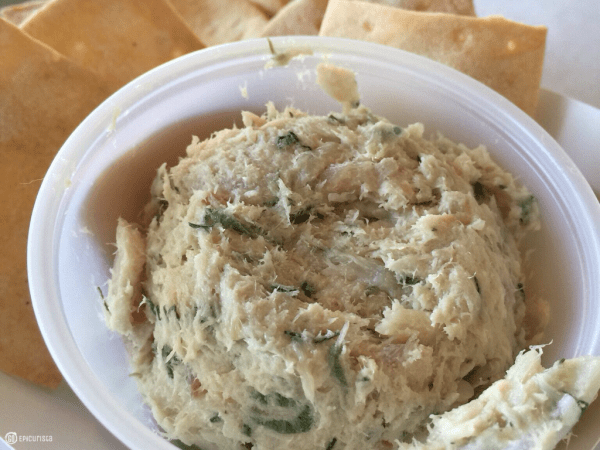 ^ Smoked Grouper Dip with fresh crackers had a wonderful smoky flavor for a great snack. ^ Marinated Tomatoes with cucumber, onion, feta, salsa verde, and avocado. ^ Beet Salad with candied pecans and goat cheese. I love this flavor combination and these did not disappoint. 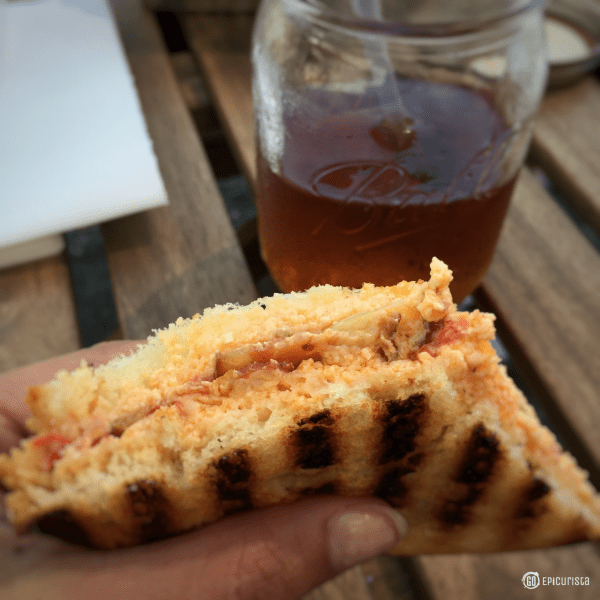 ^ Pimento Grilled Cheese with bacon, pickled green tomato on pan de mie. If you like Pimento cheese, this is the sandwich for you. I liked the contrast with the green tomato. ^ Smoked Turkey with tomato jam, avocado, herb aioli, lettuce, pea tendrils on miche bread. From now on, all other Turkey sandwiches will pale in comparison. 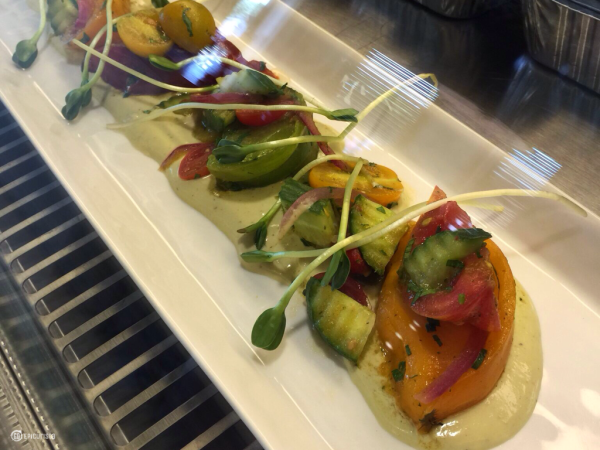 I loved the mix of flavors with the tomato jam and the creamy avocado and herb aioli. A winner! This item has since been changed into a wrap which should be quite tasty. ^ Olive Oil Poached Tuna with lemon, olive aioli, radish, cucumber, pea tendrils on miche bread. All tuna should be poached in olive oil from now on. 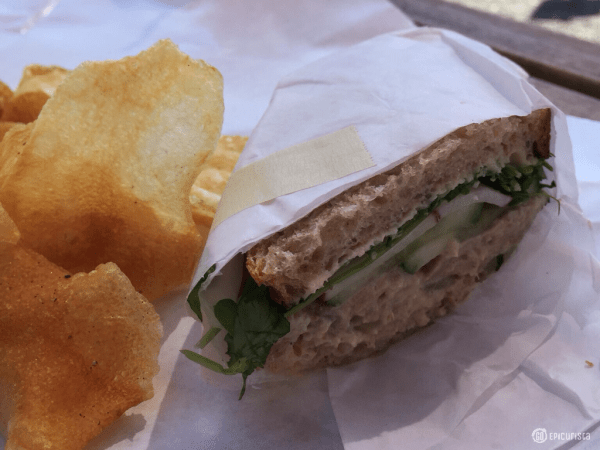 Again, in this sandwich I loved the contrast of fresh flavors with the radish and cucumber. This is taking tuna sandwiches to a whole new level. 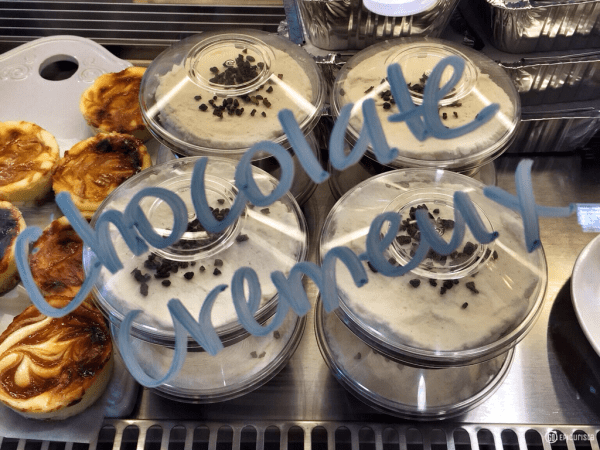 Take your pick from pecan bars, macarons, brownies, cookies, cheesecakes and pies plus homemade ice cream – sadly only available in pints so bring a friend and share if you’re planning to eat in! I wish they offered the ice cream by the scoop. 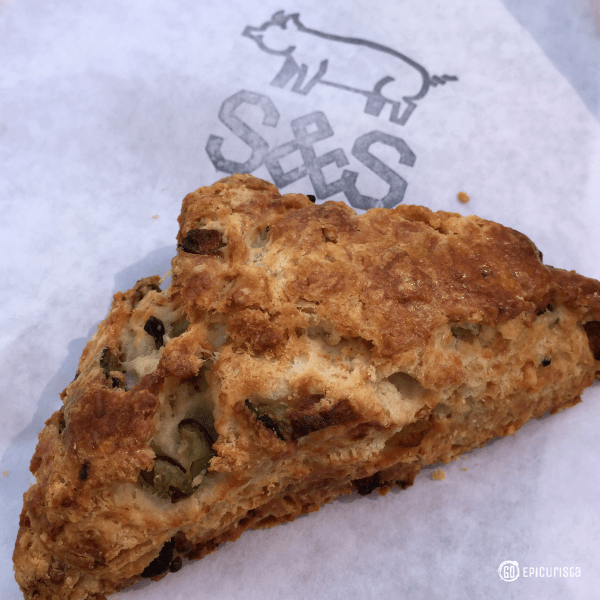 ^ Cuban Scone had all the ingredients of a Cuban sandwich baked into a crisp/crumbly scone – ham, pickles, pork and swiss cheese. It was a nice savory departure from the typical sweet scones. I would have loved to try this warm from the oven. 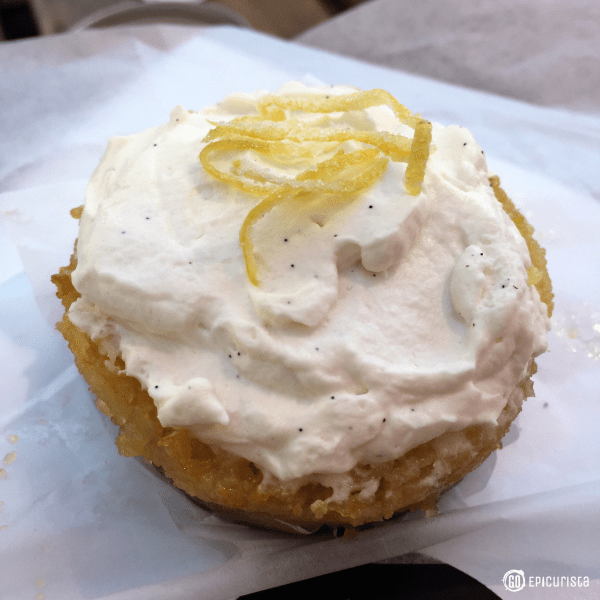 ^ Lemon Chess Pie topped with fresh grated lemon peel was absolutely sinful. 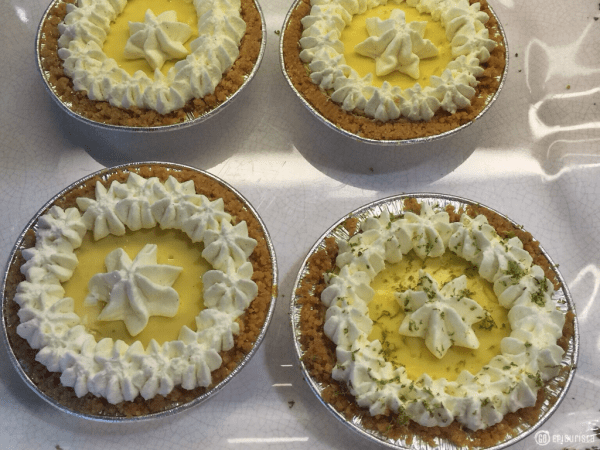 Light, airy and everything a lemon dessert should be. ^ Macarons in different flavors each day. 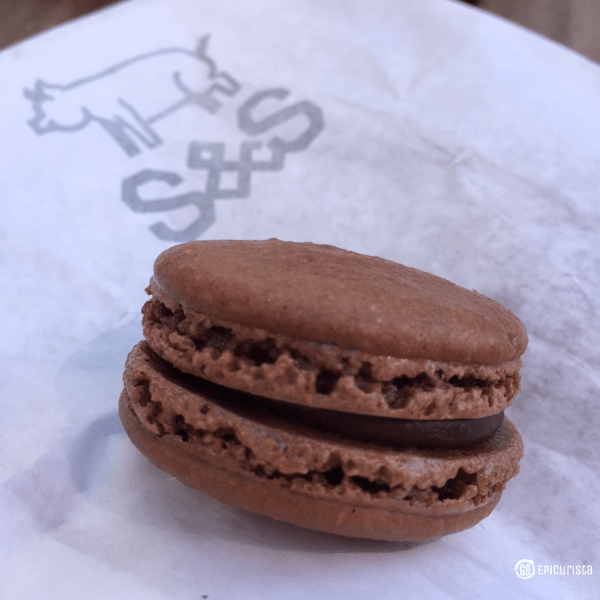 I sampled the chocolate macaron filled with chocolate ganache, caramel and coconut and it tasted just like my favorite Samoas Girl Scout cookies. 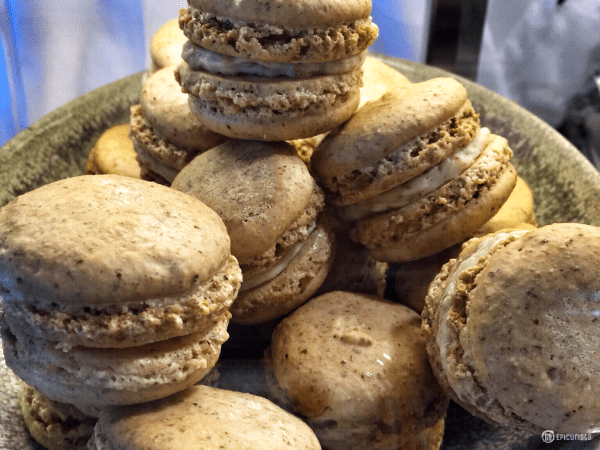 One is not enough of this melt-in-your-mouth macaron. A #MustEat. Each day you will be able to order a more substantial plate of some downright good ole’ comfort food, perfect for those days you don’t feel like cooking dinner. Roasted or Fried Chicken, Braised Pork, Skirt Steak, Seafood, you name it. The menu changes weekly with a different dish each day. 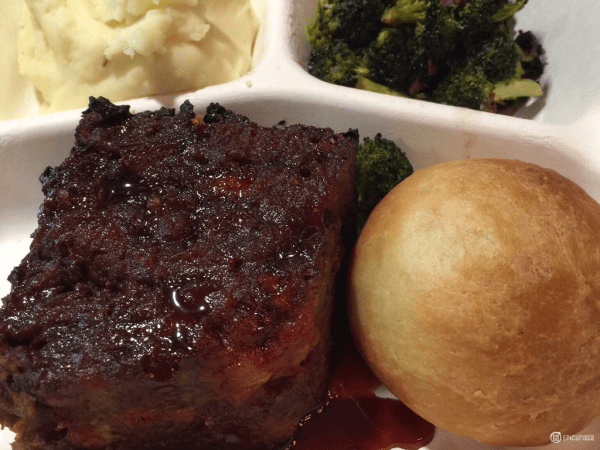 On my last visit I took home the BBQ Brisket Meatloaf with BBQ gastrique, brown butter whipped potatoes, charred broccoli with bacon and a dinner roll. The meatloaf was so good, I only managed two bites in before my BF devoured it. 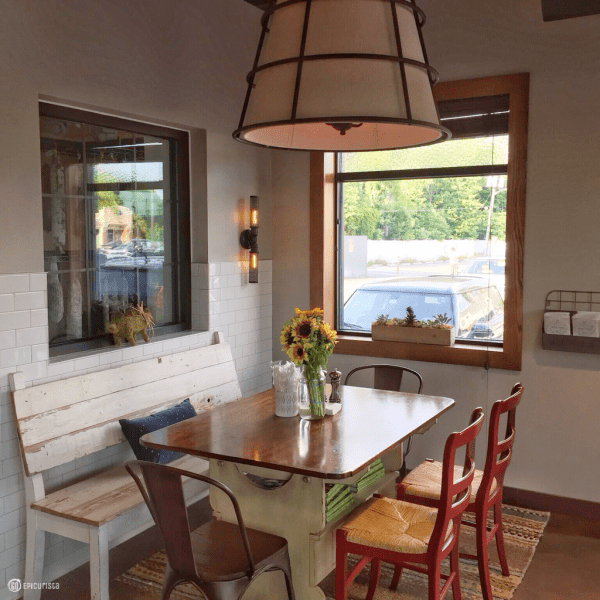 Swine and Sons offers limited seating in a charming “home-style” setting for you to enjoy lunch and snacks. 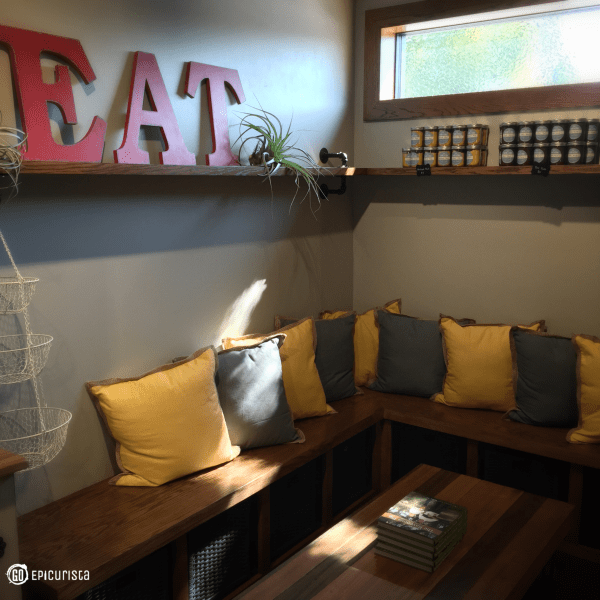 Don’t you see yourself hanging out in this cozy corner? Swine and Sons also offers pick up catering with 24 hours notice, with delicious entrees and sides perfect for at home “Easy Entertaining”. Smoked chicken Nashville spiced, St. Louis Pork Rack, Brisket, Pulled Pork, Smoked Bone-In Ribeye and even a Whole Pig are all available for a true Southern style event. 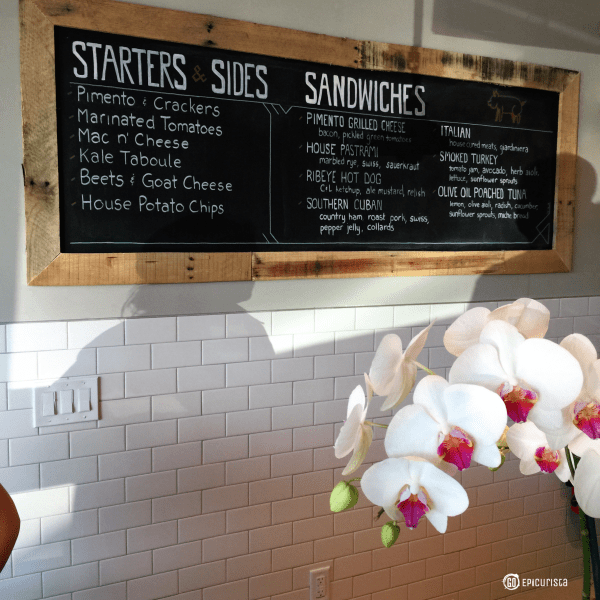 The menu changes regularly so the items listed above are a sampling of what to expect of this modern take-out joint. Located at 595 W Fairbanks Avenue, Winter Park, Florida. Current hours are Monday – Saturday 11am – 8pm, Sunday 11am – 5pm. 407-636-7601. 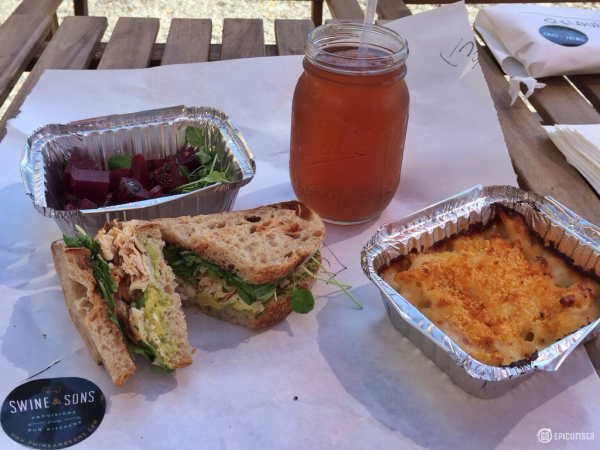 Next time you don’t feel like cooking or you want a casual bite with homemade tastes and gourmet creativity, stop by Swine and Sons Provisions and get your foodie fix TO GO! This place is definitely on my list if I can get over to that side of town. Def want to try the BBQ Brisket Meatloaf if they have it again. Oh that BBQ Brisket is worth the drive! Keep an eye on their weekly specials schedule on their website or Facebook page. You will love it! 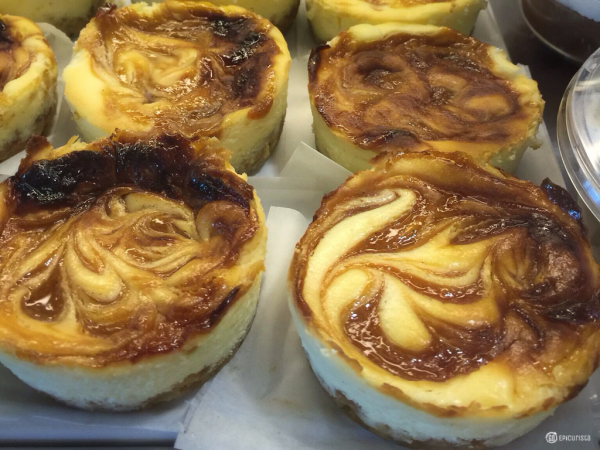 Goat cheesecake?? I’ve GOT to try that! I need to try it too! Let’s GO! Great post – that’s it – now I’m going! Thanks! That’s exactly what I like to hear! Come back and share your experience. 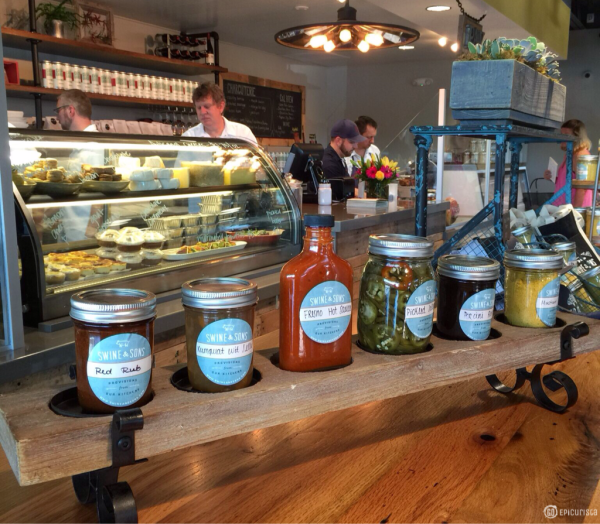 There’s always new stuff to try at Swine & Sons.